Greetings from Laird Sky a supporter of Dunans Castle Trust. 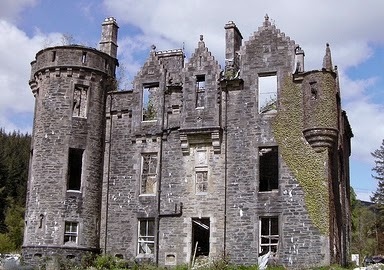 Over 100,000 decorative Lairds & Ladies of Dunans Castle Trust support the project to see Dunans Castle restored. Well it’s based on the 'Joie de Vivre' principle. 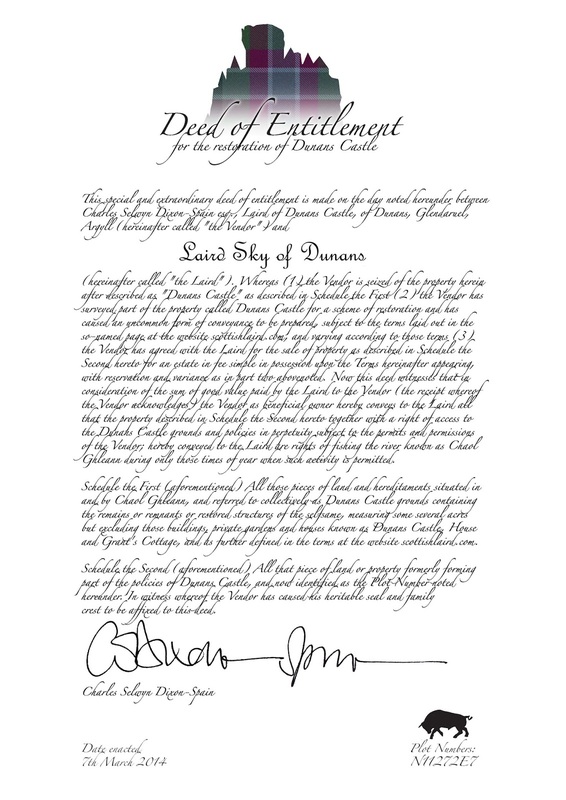 You buy an estate from the current owner Charles Dixon-Spain Esq and by 'ownership' of an estate you can adopt the informal feudal title Laird or Lady of Dunans. Your souvenir land being a micro estate on the 16 acres of Dunans Castle. Your estate typically measuring some 92,903 mm squared :-) Here is my Deed of Entitlement care of Charles Dixon-Spain Esq. 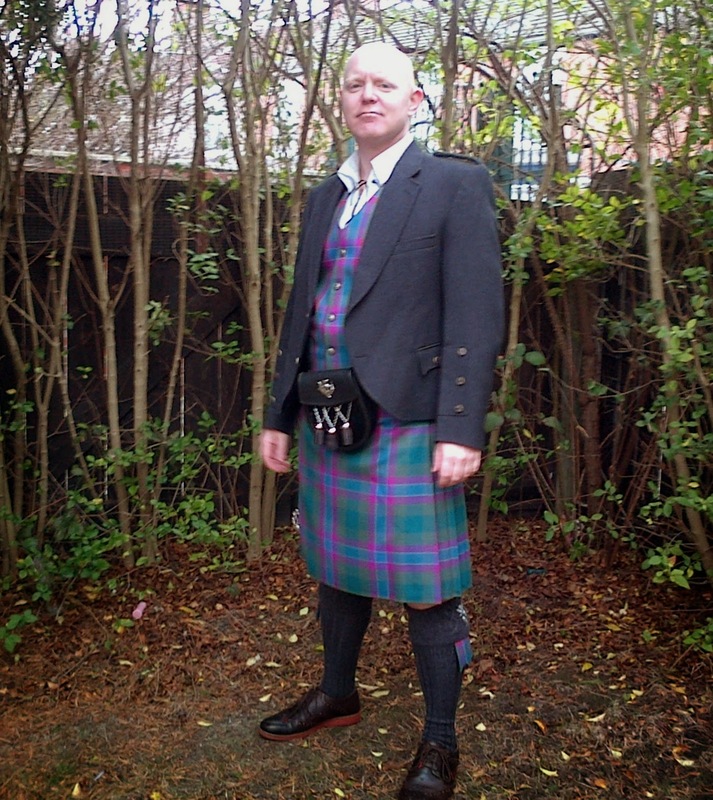 Laird Charles and Lady Sadie Dixon-Spain of Dunans have a grand plan in place through financial grants and 'sales' of Souvenir land & gifts such as their own registered Dunans Rising tartan to see the historic building Castle Dunans restored. I can but hope one of Scotland's historic buildings will actually benefit from their efforts. 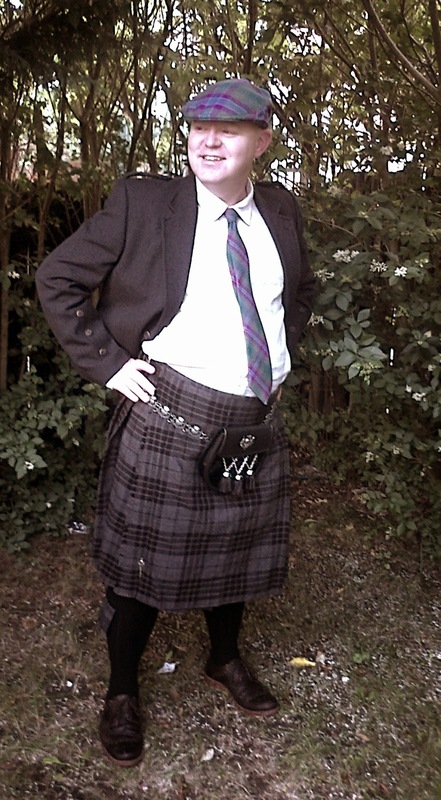 What is a Laird anyway? 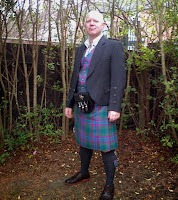 Laird a Scottish estate owner. Unlike Lord of the Manor titles, the territorial designation 'Laird of XYZ' is a 'corporeal hereditament' in other words tied to the land, these could be recognised via the Lord Lyon were appropriate in Scotland via Letters Patent. Some take these faux 'Lairdships' gifts quite seriously, for the vast majority of us these souvenir gifts amount to harmless fun with no real significance in the modern world.